Another Christmas present is finished. 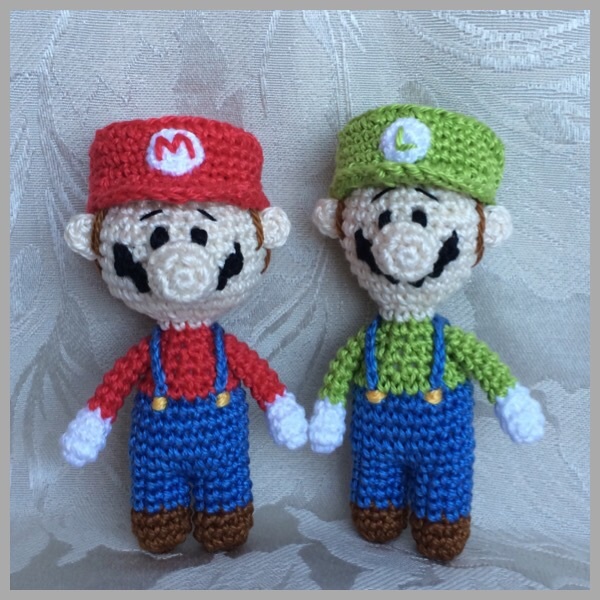 This entry was posted in Dolls and tagged crochet, doll, super mario. Bookmark the permalink. Do you have a pattern for your Mario and Luigi figures? I absolutely LOVE your work and have gone from making full size dolls to tinies. Nowhere near as refined as yours (yours are exquisite) but slowly getting better. I have been using small wooden buttons in the feet to get the nice flat look as I’m hopeless at cutting circles. Slowly putting together a library of your patterns from Revelry. I’m a Brit who has lived in California for 35 years.